With autumn nights drawing in closer, a certain spooktacular celebration is right around the corner! This Halloween discover plenty of treats with a little hint of trickery as you sink your teeth into these sweet reads! We’ve previously written about all things scary, but for this Halloween, we thought we’d take a look at the ‘nicer’ side of the season. All of us at WriteStorybooks HQ have a sweet tooth, but reading about sweets in books comes a very close second. So, we hope you treat yourself to a tour around our sweetshop of literary treats and have a chocolate bar (or two) on us. If you think of ‘Chocolate’ and ‘Books’, no doubt the first title that springs to mind is Charlie and the Chocolate Factory. This is a wonderful tale that treads the line between an emotional sugar rush and evidence that kind-heartedness triumphs over greed. From initial idea to top-secret techniques, the chocolate in ‘Charlie and the Chocolate Factory’ is treated with a reverence that’s so rare to find anywhere else. 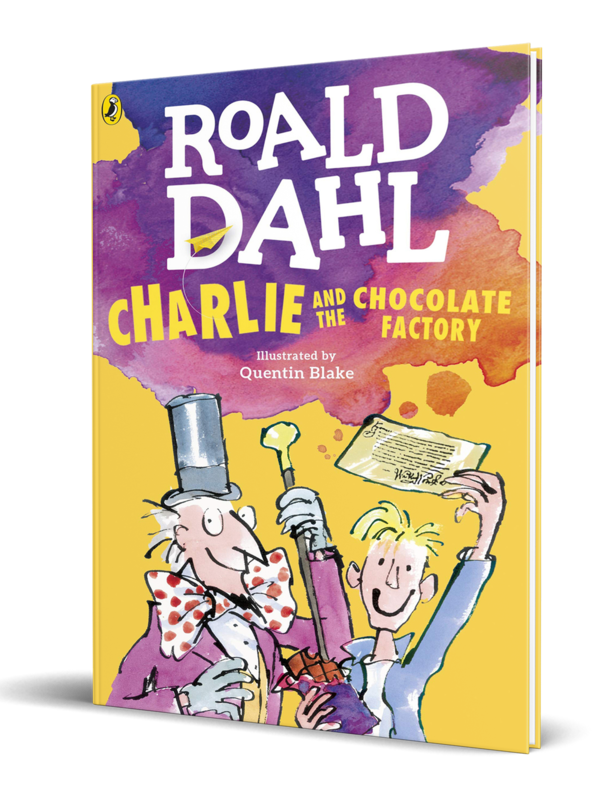 But did you know that Charlie’s love of chocolate was inspired by Dahl’s own childhood? In the 1920’s, Cadbury’s, the leading chocolate manufacturer, would send chocolate to schoolchildren to test out new recipes. One of these incredibly lucky kids was Mr. Dahl himself! The thrill of exciting new tastes, coupled with the mystery surrounding the company’s factory secrets, planted the seed of a story we’d all come to enjoy. Creating your own character to star in Charlie and the Chocolate Factory? What kind of personality would they have, how would they have won their Golden Ticket and would they get their comeuppance? It wouldn’t be right if we skipped past the second greatest sweet-story from the father of children’s fiction! 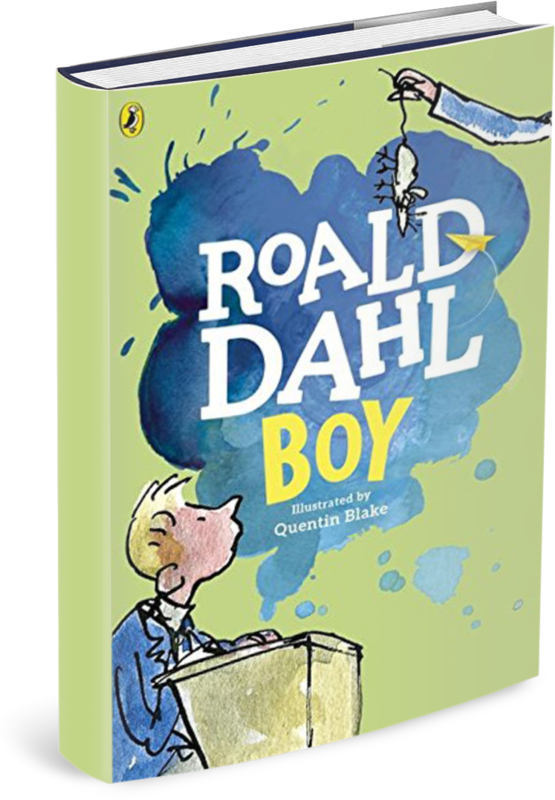 In his autobiographical account of his childhood, Dahl recounts ‘The Great Mouse Plot of 1924′, a dastardly tale of revenge. To get back at the penny-pinching, unhygienic owner of the local sweet shop, Dahl and his friends dropped a dead mouse into the gobstopper jar. Although they received a pretty severe caning for their prank, the sweetshop has been honoured with a blue plaque commemorating their trick. Not bad going! Remembering back to your own childhood and the sweets you used to love. Take the most vivid memory you can think of involving sweets and write the scene as if you were experiencing it now. How did the sweets taste, what did they look like and which flavour was your favourite? Another sweet treat that’s taken on a special significance comes from C.S. Lewis’ classic tale of magic and adventure. When Edmund Pevensie steps through the enchanted wardrobe, he is charmed by the allure of the White Witch. In exchange for information about his siblings, she gives him his favourite thing; Turkish Delight. If you’ve never had it, Turkish Delight is sticky, sugary and gooey, traditionally made with rosewater and dusted with confectioner’s sugar. But depending on how much you like Turkish Delight (and your siblings! ), it’s an unusual trade-off. This is one instance where real-life makes fiction all the more magical. 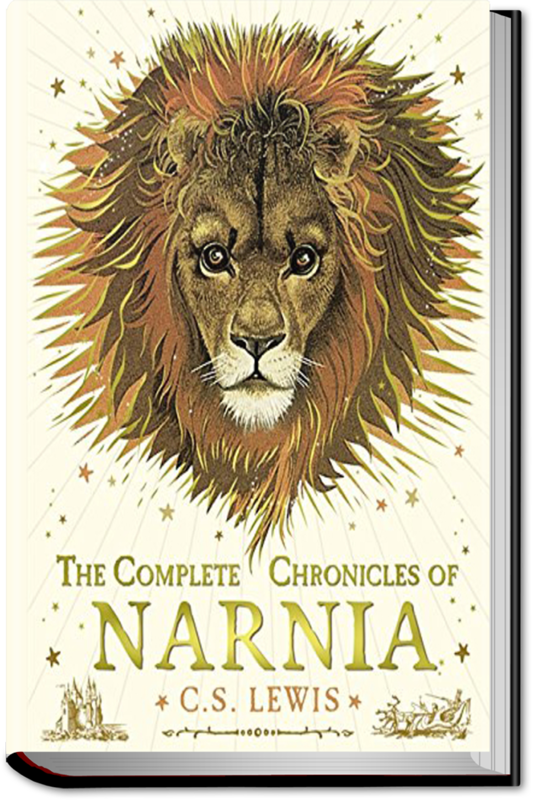 When ‘The Lion, The Witch and The Wardrobe’ was published in 1950, wartime food rationing had already been in place for 10 years and would continue until 1954. Edmund himself was 10 years old in the novel, so like many of the children reading Lewis’ story, he would have seen this treat as a tremendous luxury. This makes the White Witch’s deception even crueller as she provides him with a temptation that is far too great to resist. Rewriting the scene as if Edmund (or any other character you like) was given something different; how may it play out if he was given a tart lemon sweet, or creamy, rich chocolate? Utilise your descriptive powers! This entry is definitely a different kind of magical. Very few children’s books manage to invoke such vivid world-building. Of all the places in Harry Potter’s world, the one that we’re all dying to visit first isn’t Diagon Alley, Gringotts Bank or Hogwarts; it’s Honeydukes Sweetshop. Featuring well know confectionary such as ‘creamy chunks of nougat’ and ‘pink squares of coconut ice’, this mystical sweetshop also entails Drooble’s Best Blowing Gum, Exploding Bonbons and of course, the classic Chocolate Frog. Pepper Imps, Sugar Quills, Blood Lollipops for vampires and Ice Mice that make your teeth chatter and squeak all leap off the page. 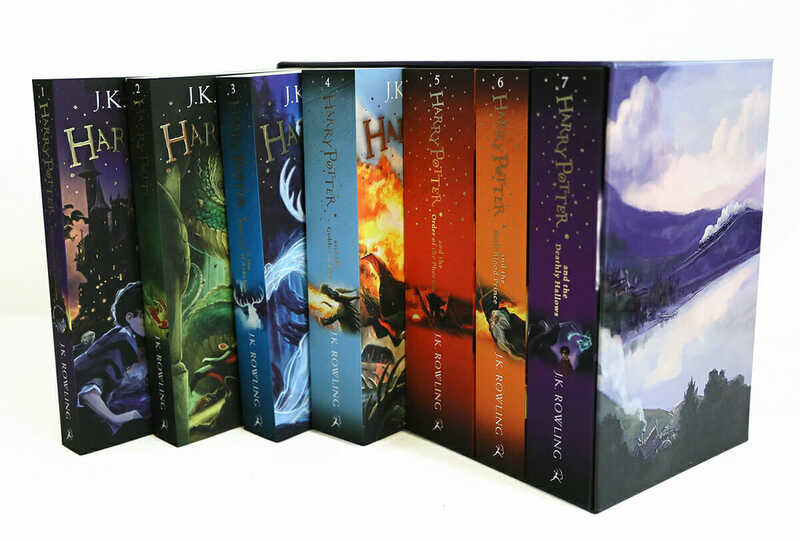 Creating magic through what is ordinary is where J.K. Rowling excels. Of course, we all know that chocolate keeps the effects of Dementors at bay, but who can forget the first time Harry visits the Hogwarts Express trolley, buying as many sweets as he can. Creating your own magical sweets! You can adapt ones that already exist, or create ones entirely from your imagination. Do they give the person who eats them special powers? If so, what? Speaking of magic, there’s a certain resident of the 100 Acre Wood whose sweet tooth is definitely a wonder to behold. 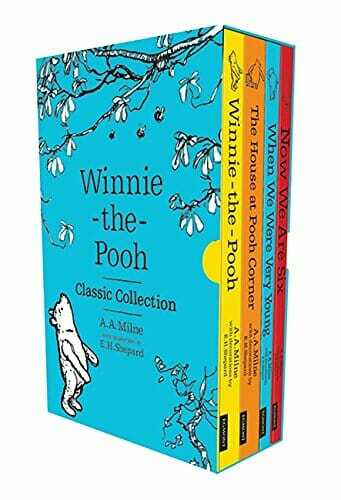 Winnie the Pooh is finely in tune with the call of his stomach, and ‘honey’ is by far his favourite. So much so that after he gets lost with Piglet, it’s the call of Pooh’s honeypots that helps them find their way home. We’re not sure that many trick-or-treaters would want a spoonful of honey in their Halloween plunder, but we can all share Pooh’s passion for something sweet! Gathering some companions and undertaking a senses game. This is where you are blindfolded and test certain foods to see what the smell, taste or sensation invokes. 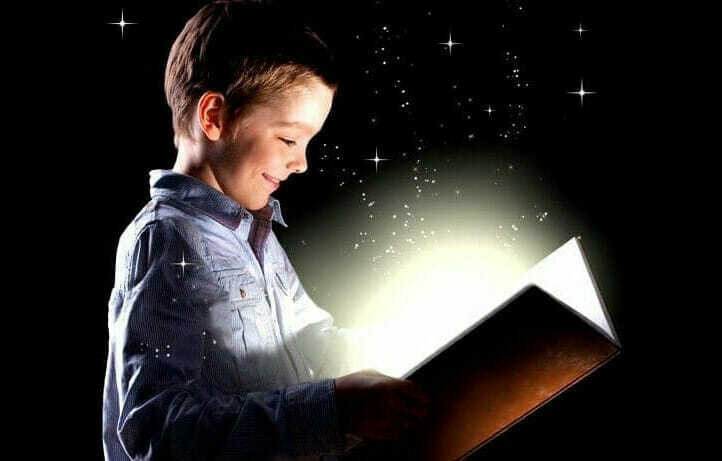 You never know what may spark your imagination. 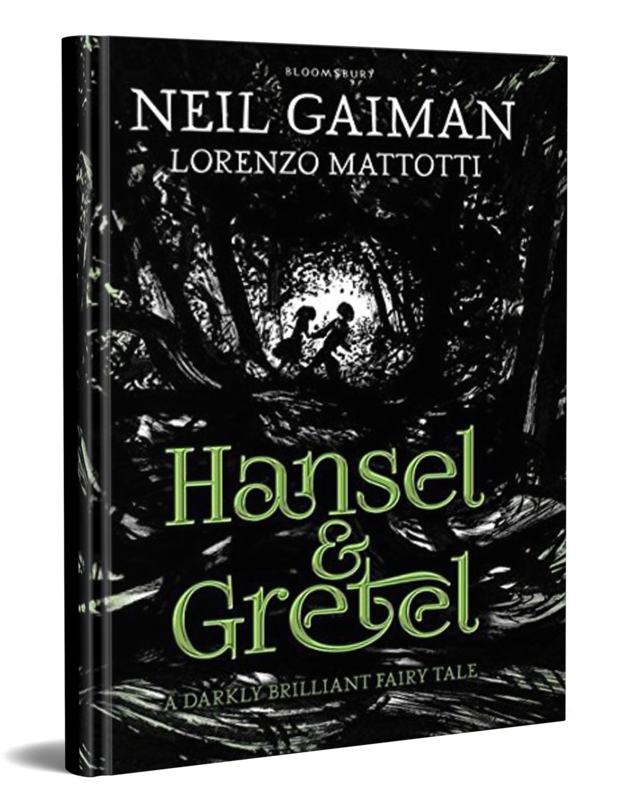 Inspired by the classic fairy-tale written by Brothers Grimm, Neil Gaiman has not strayed far from the familiar story of a boy and girl abandoned by their family in the forest. Seeking their route home, the children stumble upon a marvellous house made of gingerbread, cakes, candy and other tempting confectionary. Stricken by famine and war, it’s no wonder Hansel and Gretel venture hungrily into this magical house of tasty treats, unaware of the danger lingering inside. In true Neil Gaiman gothic style, this spooky retelling features illustrations of black and white shadows subtly emphasizing the darkness to the story – a perfect addition to your Halloween reading list! Altering a classic fairy-tale by changing one element of the story. What if Jack’s magic beans turn out to be Jelly Beans or the top of the Beanstalk was home to a land of chocolate eggs? Enter into the magical world of Sugar Valley to join the Candy Fairies in their sweet-tastic adventures. A light-hearted tale that is sure to get your taste buds tingling and is perfect for anyone avoiding troublesome tricks this Halloween. 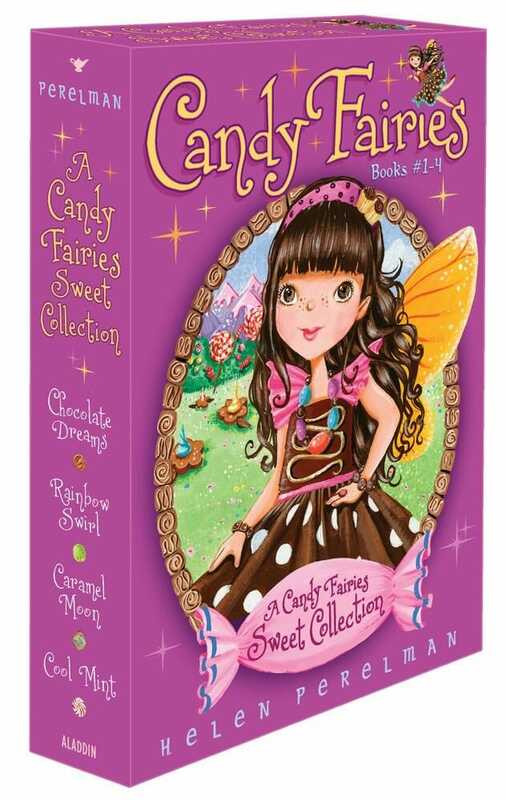 An appealing confection for candy lovers, this enchanting book series features chocolate fairies, caramel turtles, rock candy gnomes, ice-cream mountains and jelly bean plants. It’s bound to satisfy any sweet tooth! Inventing your own character to feature among the Candy Fairies clan. Think about your surroundings and what sweet treats could be used to represent these. Do the clouds look like cotton candy, bridges look like doughnuts or lamp posts imitate candy canes? 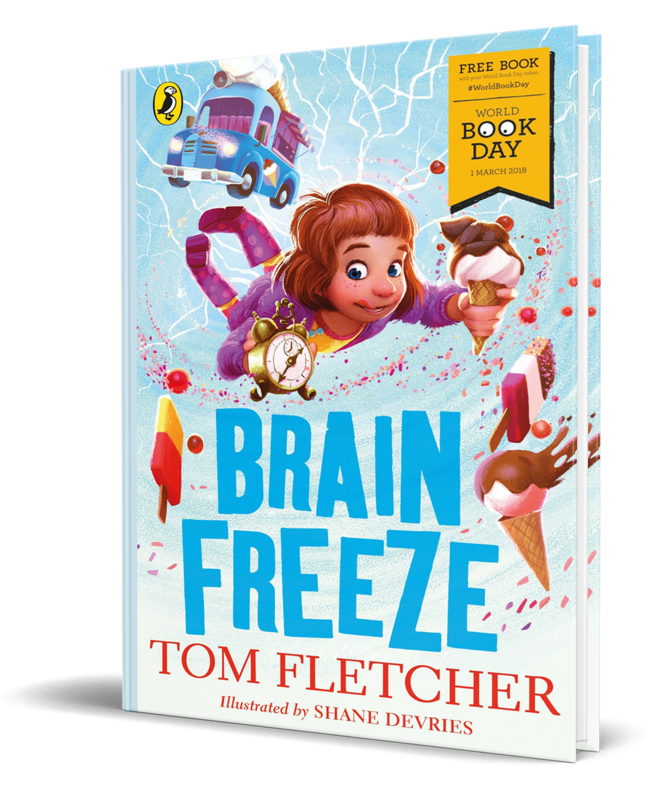 Dedicated to his Nan and Grandad for their endless supply of choc-ices, Tom Fletcher’s 2018 World Book Day story makes the list with a heart-warming tale of creamy frozen treats. Izzy loves ice-cream, but she loves her Grandfather more. One night, when she visits his empty ice-cream van, she discovers a freezer full of tasty treats that’s more than just delicious… it gives her the power to travel in time! Bouncing from ancient Egypt to offer Tutankhamun a free 99, to the Jurassic era to sweet talk the T-Rex with Fab lollies, Izzy unlocks the power of ‘brain freeze’ to see someone very special for the last time. Tom’s story has certainly got us longing for something cold and sweet, even during these Winter nights. Take a moment to think about your grandparents. Did they always have choc ices in the freezer, apple pie in the oven or scones in the fridge? How can this inspire your next story? 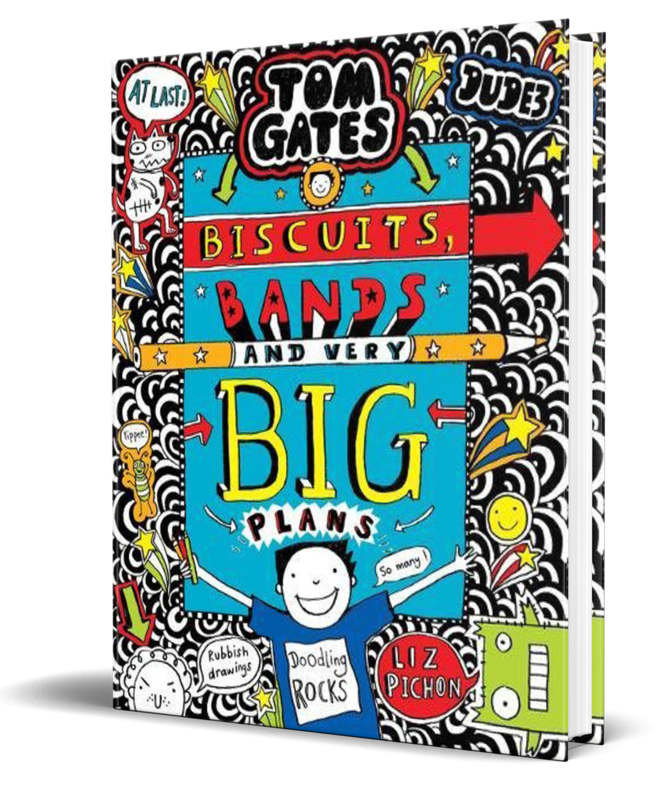 Caramel wafer loving, super-doodler Tom Gates may be a character you’re familiar with already as his bestselling series reaches book number 14! Presenting very big plans and more treats than ever, his latest adventure is fuelled by songs about biscuits, avoiding Delia at all costs, doodling as much as possible and of course a scrumptious supply of snacks. After all, is it really possible to make the best band in the world without a delicious snack?! Not everyone is an author and an illustrator but why not try taking out a piece of paper and begin to doodle. What objects instantly spring to mind? How could they feature in your story? Is there a particular doodle that you’re drawn to? Our favourite newsagent of all is, of course, the ever-present Raj, with his strange offers on sweets. Buy ten chocolates…and get a half-eaten one free. Special discount on a slightly chewed liquorice! But beware because enjoying too many of these sweet treats can only mean one thing… a trip to the Demon Dentist! 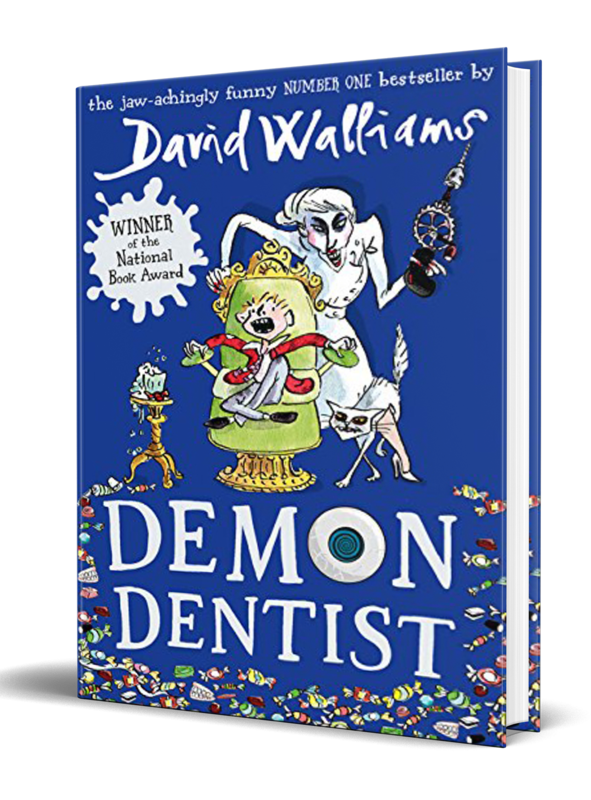 Entwined with dark humour and sinister illustrations, this fiendishly fun novel by David Walliams feeds into a common horror amongst children – the Dentist! After reading this humorously horrific story of creepy crawlies and other gruesome gifts, you’ll be longing to brush your teeth. Adding a twist of humour to things that children find horrible. How can a spider become friendly? How can vegetables become enticing? What can be fun about going to bed? Children’s books are full of chocolate and sweet treats, from the fantastical to the same delights we find in almost any Halloween basket. 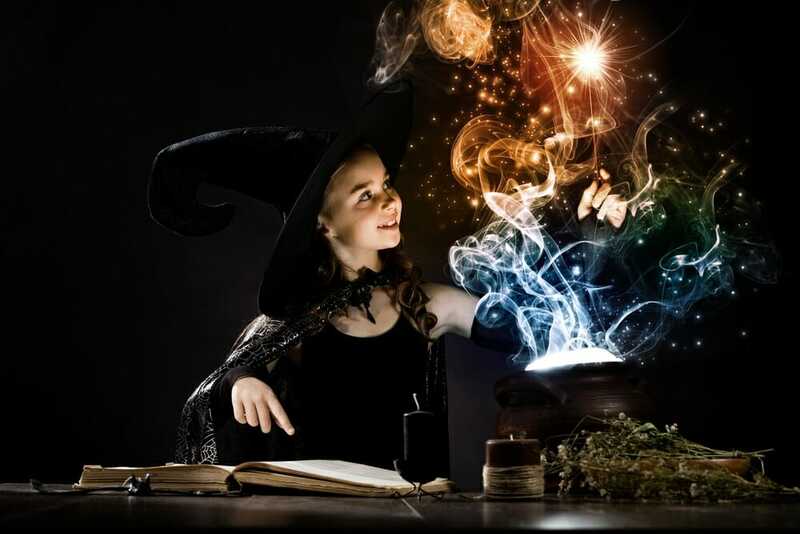 Writing for children is about infusing magic into every word, and what better time to do this than amongst the tricks and treats of Halloween? What are your most memorable tricks or treats featured within a book? Let us know in the comments below!